For nearly four decades, The Copy Room has been a city go-to for the latest in professional, commercial-scale printing. Our team has always stayed up to date with the fastest, most accurate, and most cost-effective techniques and equipment available, which now includes digital color printing on our Xerox machines. You won’t have to choose between the speed, cost, run size, and variability that are inherent pros and cons between offset and digital printing. The Xerox Color Xerox Color 1000 Presses at The Copy Room are the fastest digital color sheetfed presses in the world. Let us help you with your next customized brochures, one-to-one documents, and all your digital color printing needs. We have the equipment and experience to create a range of quality prints all with outstanding image quality. Traditional offset printing uses aluminum plates and rubber to roll out large runs of commercial orders quickly. Every copy must be exactly alike, and it’s expensive to do for all but the largest orders. Digital color printing, however, can use toner or liquid ink to produce smaller runs affordably or create a unique number, address, or code on each successive copy. It’s fast and easy to prepare, so you’ll meet your deadlines and be out the door with your completed order. The Xerox Color 1000 Press is one of the few presses that can print on an array of papers and substrates, ranging from lightweights like 18-pound bond or 45-pound text to heavyweights as high as 12 pt. Krome Koat in sizes up to 12×18 for a full 11×17 bleed. The DocuColor 8000 provides faster and more powerful raster image processors (RIPs) for customers who need a better RIP and variable information performance. When the print process is complete, unlike an offset printer, digital color printers leave the ink dry as soon as the print hits the tray! No more waiting for the ink to dry and hoping that it won’t be a humid day that extends the drying time. Need a short run? Our two Xerox Color 1000 Presses can handle it! The 8000 Series Digital Presses are perfect for small digital printing jobs of 20 to 100 copies where traditional offset presses would charge you big fees. The Xerox Color 1000 is so fast even large digital printing jobs can be completed during the same day. With the Xerox Color 1000 Press, your proof is the finished product. 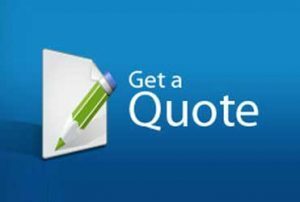 The Copy Room always provides free quotes on commercial printing projects, so you can compare options and choose the best method for the size and specifications of your order. 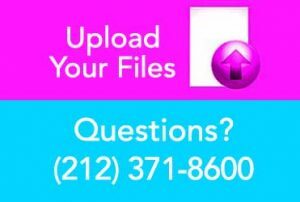 Contact us in Manhattan today to discover just how easy and affordable color printing can be! We guarantee the satisfaction of our New York City corporate printing clients.